CLAIM: A viral video showing molten copper being poured over a Big Mac definitively proves that McDonald's food is indestructible and indigestible. WHAT'S TRUE: A video showing molten copper being poured over a McDonald's Big Mac demonstrates the Leidenfrost effect. WHAT'S FALSE: The molten copper initially rolls off the Big Mac because of properties specific to McDonald's food. 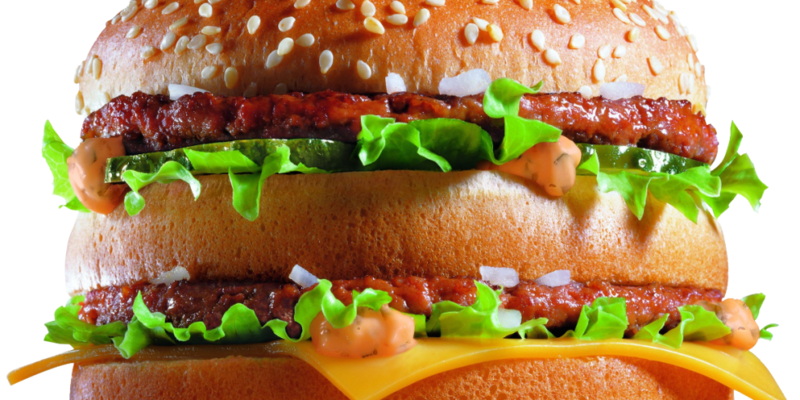 Big Mac lovers beware, your burgers are indestructible and possibly indigestible. McDonald's converts may be left reeling after disturbing new footage shows boiling hot molten copper being poured over a Big Mac, resulting in the 'buns of steel' burger remaining relatively intact. Popular YouTube user Tito4e uploaded the clip and has proved that 'murdering this burger' is virtually impossible. My videos are mostly about melting copper and pouring it on random things. If you like seeing things burn, then your in the right place. I also cast things out of aluminum and copper. Aluminum melts at about 1200 degrees and copper about 2000 degrees. While the video footage is real, it doesn't demonstrate any "indestructible" aspects of a Big Mac. In fact, the results showcased in this video (just like experiments with seemingly non-rotting hamburgers) could likely be replicated with any burger (or similar food item), regardless of brand. Rather, the video is an example of the Leidenfrost effect, which is defined by Engineers Edge as "a phenomenon in which a liquid, in near contact with a mass significantly hotter than the liquid's boiling point, produces an insulating vapor layer keeping that liquid from boiling rapidly." In other words, the moisture in the Big Mac instantly boiled when it came in contact with the molten copper, and the resulting steam created an insulating layer which initially protected the burger. This made it look like the molten copper was simply bouncing off the Big Mac patty.